People Recruitment Research Consultant Job in Peshawar. 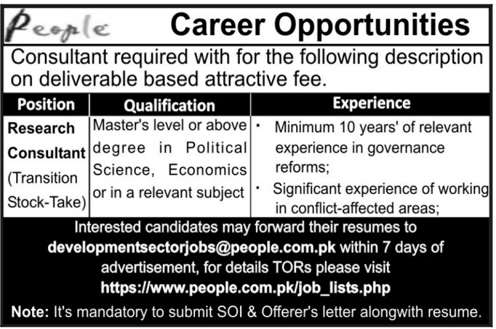 People Recruitment is looking for candidates for the post of Research Consultant Transition Stock Take in Peshawar. Interested candidates can contact on given details.